The image of Android users as people who seek out danger and live on the edge may not be far from the truth. That’s the image that Verizon has been trying to project in some of their ads for the Droid Razr and a new study from Websense suggests that it’s an accurate portrait – but in ways that Verizon had rather not project. The study suggests that while iPhone users are happy to stay within the bounds of Apple’s walled garden, enjoying music and video from legitimate sources, Android users spend more times exploring the web’s less reputable districts. Unlike iPhone users, Android owners spend more time reading about guns and ‘exploding shuriken’ than they do playing Angry Birds, and many of them venture out in search of information on hacking and other ‘illegal or questionable’ activities, as shown in the chart below. Almost all iPhone users get their apps exclusively from Apple’s carefully crated App Store, but Android users have no problem getting their apps from a wide variety of unsanctioned (and sometimes illegal) marketplaces. While a lot of fuss has been made about Google’s lack of tight control over what apps get into their marketplace, users are really sticking their neck out by getting their apps elsewhere. It’s remarkably easy for a legitimate looking Android app to be repackaged with malware and most users won’t know the difference until they are already infected. A lot of questions have been raised about the security of Google’s mobile OS. McAfee recently reported that Android was shattering records for mobile malware, with almost all new viruses being targeted at it. While Microsoft’s Windows Phone and Apple’s iOS remain relatively safe, some security experts are suggesting that it might be wise to keep your Droid protected with security software, as reported over at Monsters & Critics. Some have gone so far as to call Android the ‘smartphone Windows of the future,’ referring to the high number of security threats targeting Microsoft’s venerable OS. Google continues its efforts to streamline its business, announcing on its blog site this week that a number of its services will be closed over the next several months. One of them is Google Wave which launched as a web app for real time communication. Google has now announced that Wave will become read only after January 31, 2012 and will close completely after April 30. Google Gears, which was designed as a way to make offline web apps via a browser extension will stop working on December 1 for Gears-based Gmail and Calendar offline. Later that same month the Gears browser extension won’t be made available for download at all. Google is also closing down its experimental energy division, which it called Renewable Energy Cheaper than Coal. Google concentrated its efforts on improving solar power but has now decided that “other institutions are better positioned than Google to take this research to the next level.” The company will continue its own efforts to conserve energy and use alternative energy sources in its own businesses. t used to be the case that people could claim that Apple software wasn’t susceptible to viruses, but it’s not so anymore. Actually, it hasn’t been for a while. Today, another Mac-borne virus was identified that uses processing power of computers to generate “Bitcoins,” a virtual currency. The trojan actually installs a legitimate application that is used in the Bitcoin production process –called DiabloMiner — but configures it to distribute the coins to the creators of the virus. As the application uses the GPU to create the currency, the machine runs extremely slow as a result. Additionally, the trojan spies on users by taking automated screen captures and logging usernames and passwords, copying encrypted data, your Safari browsing history and more, then sending them back to the creators of the infection. It’s clearly time for users on OS X to seriously consider installing antivirus protection, as this is pretty serious compared to other threats we’ve seen out there. If you’re not running anything yet, there are plenty of free solutions out there. Locked out of Facebook? Your friends can help! 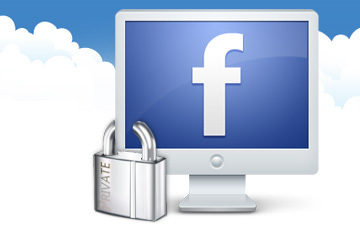 Facebook has announced two new features to try and improve the security of your account. The first, entitled Trusted Friends, allows you to designate three to five friends that can unlock your account for you if you forget the password. The other less interesting feature, called App Passwords, lets you assign a unique password to Facebook apps. With Trusted Friends, if you lose your Facebook password you can have codes sent to your friends that let you access your account. What isn’t spelled out is whether you need all of the codes from your friends to unlock the account or if a single code will work. While this is being touted as a way to access your account if you lose both your Facebook and email account, this seems more like a backdoor to let intruders into your account. Even if all of your friends need to send you their codes to access the account, you’re still trusting that they are going to be secure themselves. Anytime you have a backdoor into an account, you end up weakening security, not strengthening it. There’s even less details about App Passwords. The concept is sound: Don’t share your Facebook password with 3 rd party applications. The actual implementation is still vague and given the company’s security track record, who knows if it will work as intended. Interestingly enough, the security infographic that Facebook released seems to be using the term Guardian Angels instead of Trusted Friends. As promised, Microsoft has begun pushing its Windows Phone 7.5 update to all compatible phones from around the world, no matter what the carrier or device. The LG Optimus 7 on Telefonica in Spain and Samsung Omnia 7 on Deutsche Telekom were updated on Wednesday, for example. Users can check if their handset will get the update online. If an update for a phone is not listed as “scheduling” or “testing,” it will get the update. Major changes in Windows Phone 7.5 focus on multitasking, a modern IE9-based browser, and Twitter integration. custom ringtones, visual voicemail, new speech commands and threads in e-mails, social networks and text messages. E-mails from multiple accounts can also be funneled into a single inbox and can also be organized in a more flowing conversation view. Firmware updates beyond 7.5 itself are being sent out to certain phones around the world. The patches will improve phone performance, fix bugs and activate new features if supported by the hardware. These updates are sent to phones on particular carriers in some countries and certain phone models. Today Microsoft’s Windows XP operating system officially turns 10 years old. While PC makers started taking orders for new PCs with Windows XP installed a few weeks prior to October 25, 2001, this was the day that consumers were able to walk into a store and buy a copy of the OS in order to update their current PCs to the new version of Windows. 10 years later, Windows XP is still used on a ton of PCs around the world. This was due in part because Microsoft decided not to release a major new update to Windows until 2007 with Windows Vista. However, Vista never caught on with either businesses nor the public due to bugs and poor hardware driver support. As a result, many people didn’t bother upgrading to Windows Vista and waited until Windows 7 was released in 2009 to update to a new version. Windows XP is just starting to lose its grip among PC users, according to recent statistics. The world has changed a lot in the last decade and certainly the PC business has changed as it faces competition from new smartphones and tablets. But 10 years ago, Microsoft had people standing in line at their local software stores to buy their software. We now know that Windows XP turned out to be the most successful and the longest lasting operating system that Microsoft ever produced. But what were the reviews like at the time of its release. While its new, hand-holding “task-oriented” design may annoy experienced users, Microsoft nevertheless managed to create an OS that works equally well for novices, corporate users, and enthusiasts. Despite hefty system requirements (a Pentium II-300 or faster, 128MB of RAM, and 1.5GB of free disk space), onerous product activation, and some not-so-obvious touting of Microsoft’s business partners, you’ll want to consider an upgrade–if not immediately, certainly the next time you buy a PC. It’s interesting to read about the “hefty” hardware specs for Windows XP now. Many smartphones that are on the market now easily exceed the processor, RAM and storage space that is needed to run Windows XP. Microsoft has listened to their customers by adding many new features they were requesting. Not only is Windows XP one of the most reliable operating systems ever released but it also offers an unprecedented level of conviviality thanks to a user friendly interface that includes smart enhancements to adapt the system to the way users work. In fact Windows XP is a treasure combining a marvel of conception, a gorgeous design, and innovative features; in other words: it’s worth the wait! Overall, Windows XP addresses many issues that users have been asking for and then some. For those lingering on Windows 95, 98 or NT4 machines, Windows XP provides a solid foundation on which to grow on. There’s bound to be users who will upgrade no matter what we say, and realistically, Windows XP is a well designed, well implemented and well supported product. For the general population, you can’t go wrong by moving to Windows XP, but you can’t be 100% satisfied either. After running these tests, and assuming that these benchmarks provide a decent estimate of what to expect, we can conclude that XP does not pose a performance risk. Most of the scores were either on par with Win2K or better than it. Win98SE took some leads in a few of the tests, but stability on that OS is something that is left to be desired. Windows XP certainly had more than its share of support and popularity. But things are finally changing. Windows 7 is now firmly in place on a small majority of PCs in the world (depending on what statistics you use) Once more, Windows 8’s release is on the horizon. Microsoft continues to urge people, especially large businesses, who have yet to upgrade from Windows XP to do so to Windows 7 and not wait until Windows 8 comes out. Officially, Microsoft will no longer offer technical support nor any software upgrades to Windows XP after April 2014. Even though Microsoft will do its level best to get PC users to switch to Windows 7 or 8, it’s more than likely that there will still be a large number of PCs around the world that will still run Windows XP. It just goes to show that if you make a successful and stable operating system, lots of folks don’t want to fool around with a major upgrade if they don’t need to. Windows XP wasn’t the only major launch for Microsoft. A few weeks later the company launched the original Xbox game console. But that 10th anniversary is the subject for another day. Blackberry’s online services have been affected by outage problems across the world for three days. Now those issues are hitting users of Research in Motion’s smartphonse here in North America. Computerworld.com reports that US users have reported that Blackberry’s Messenger service was down. A news anchor for the CNBC TV network reported on air this morning that he has been unable to receive email on his Blackberry device for the past several hours. The outages, which has also affect surfing the web on Blackberry’s web browser, started hitting customers in Europe, the Middle East and Africa on Monday. At that time RIM said that the issue was caused by a corrupt database in its Slough, UK location. The problem appeared to be fixed on Monday but outages occurred again for Blackberry customers on Tuesday in the same parts of the world, along with India and parts of South America. Late on Tuesday, RIM said that the problems were caused by a “core switch failure” in its online service and that it was attempting to fix the solution.